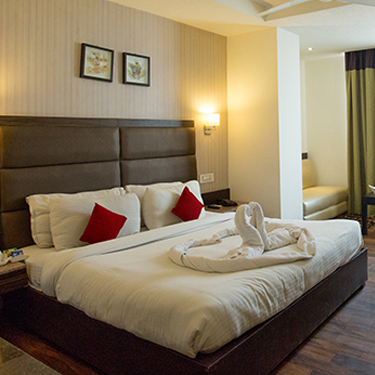 Unwind the ravishing charm to spend a memorable vacation with your loved ones in the heart of Zirakpur Chandigarh. Chandigarh is known to be the city of parks, architectural design, with a sync of traditional hospitality to welcome guests and visitors for entertaining vacation. To get the enchanting view of the city people love to hop on to a Caleche and roam around the city to experience loveable evenings. Chandigarh covers good collection of garden, lake, art & craft station,cool-spot, building,inns, villa,and hotel setting a unique trend to traditional and contemporary décor. Feel free to visit the exotic destination and have the joy of getting yourself indulge in absurd collection to funkiest fleapit to palace rides. 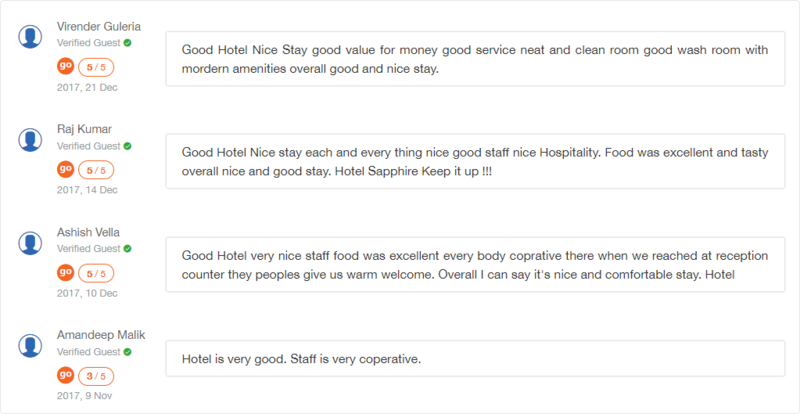 This is the reason Chandigarh attracts several travellers and guests to its arena,especially to Hotel Sapphire.It tops the chart of several holiday makers who are keen to have expedition for local culture dwelled sideby Chandigarh. The modern part of area is fun-filled with luxury shopping complex, bank square, cafeterias, eateries,strolls and pleasing souvenirs. 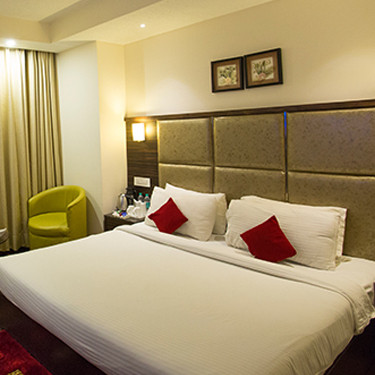 Make some of the perfect choices to luxurious hotels in Chandigarh. 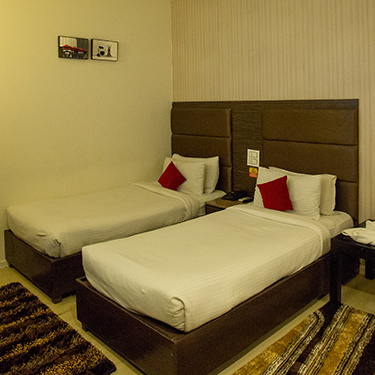 Just 5 min drive from Airport, it is best Hotel near Chandigarh Airport. Chandigarh is all year around destination to visit that enjoys maximum tmperature with least rainfall.However,tourists love to visit this place from October to May. Free WIFI Because both businessmen and travelers need to access the Internet anywhere! 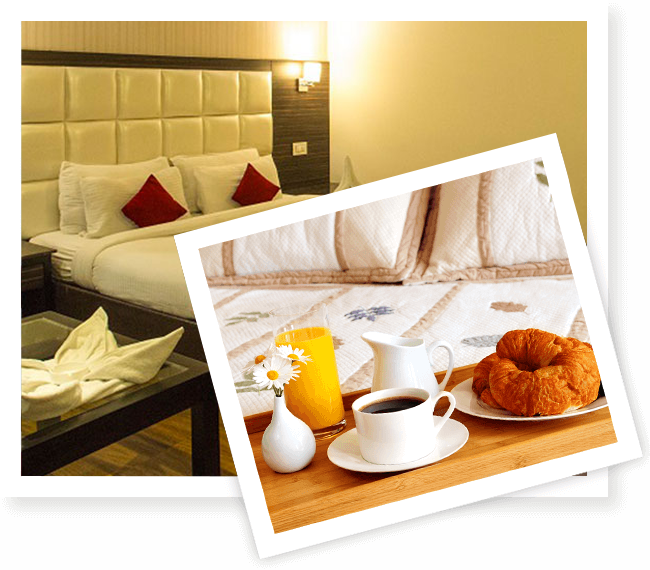 Room Service Enjoy a full-blown room service, enhanced by an option to order food and beverages! Free Parking Lots Book a suite and the parking lot will be yours, free of any additional charge! 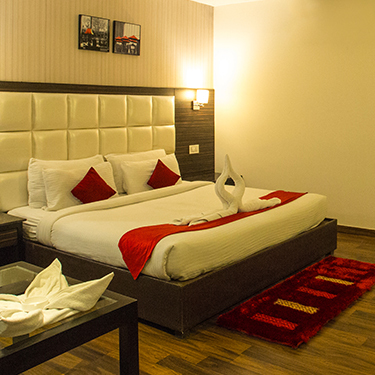 24-Hour Front Desk More flexible than ever, made with our guests’ comfort and timing in mind!